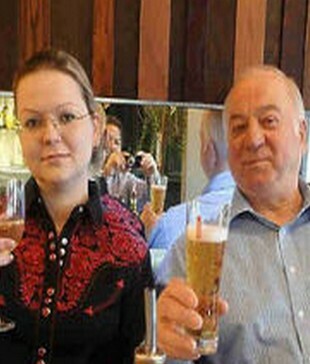 Gorilla Radio blog: Resurrecting the Skripals: Brit Media Invokes the "Salisbury Incident"
Resurrecting the Skripals: Brit Media Invokes the "Salisbury Incident"
Just as the World Cup had forced the British media to grudgingly acknowledge the obvious truth that Russia is an extremely interesting country inhabited, like everywhere else, by mostly pleasant and attractive people, we have a screaming reprise of the “Salisbury incident” dominating the British media. Two people have been taken ill in Amesbury from an unknown substance, which might yet be a contaminated recreational drug, but could conceivably be from contact with the substance allegedly used on the Skripals, presumably some of which was somewhere indoors all this time as we were told it could be washed away and neutralised by water. Amesbury is not Salisbury – it is 10 miles away. 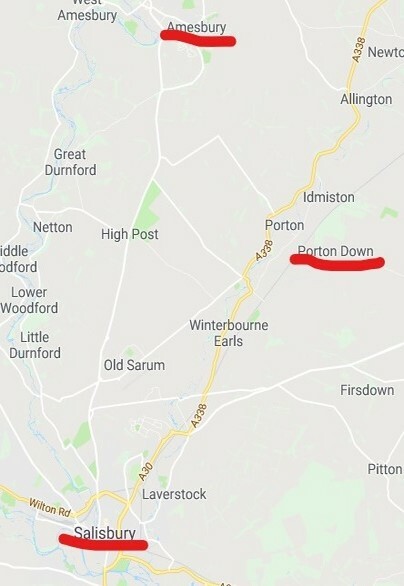 Interestingly enough Porton Down is between Amesbury and Salisbury. 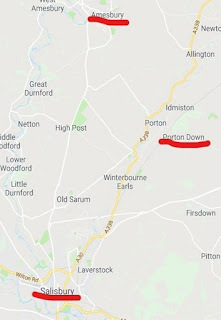 Just three miles away from Muggleton Road, Amesbury. The news reports are not mentioning that much. I do however wish to congratulate the neo-con warmongers of the Guardian newspaper for verbal dexterity. They have come up with a new formulation to replace the hackneyed “Of a type developed by Russia”, to point the finger for a substance that could have been made by dozens of state or non state parties. The Guardian today came up with “Russian-created novichok”. This cleverly employs a word that can encompass “developed” while also appearing to say “made”. It also again makes out that novichok is a specific substance rather than a very broad class of substances. The Guardian’s Steven Morris, by this brilliant attempt deliberately to mislead his readers, runs away with this week’s award for lying neo-con media whore of the week. His achievement is particularly good as the rest of his report is largely a simple copy and paste from the Press Association. I most certainly hope that the couple in Salisbury hospital recover from whatever is afflicting them. The media is, by making this the lead story on all broadcast news after last night’s football, inviting us to make the connection to the Skripals. In which case I assume the couple were perfectly well for five hours after contact, able to be very active and even to eat and drink heavily, before being mysteriously instantly disabled at the same time despite different ages, sexes, weights, and metabolisms and random uncontrolled dosages.